Our will is to form you for the software of image editing while rising and by integrating artistic and graphic data into this control of the tool Illustrator. Our expertise training and our work in communication, for more than 20 years, allows us to form you to the software Illustrator through concrete practical cases. To learn or to improve its expertise with this software of vectorial drawing ILLUSTRATOR. To produce simply and quickly pictures in vectorial plan. To be able to prepare files intended for the photo-engraving and for the printing office. To master the process of graphic design in its entirety. 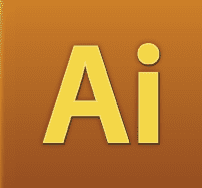 Contact-us to organize at best your learning or improvement on illustrator (adobe).